Dr Angelo Cacchio is a good friend of the site and has helped out a great deal in the development of TendonQ and upcoming BoneQ questionnaires. He’s also a top researcher and his studies were vital in developing our Narrative Review on Proximal Hamstring Tendinopathy (PHT). So naturally I was delighted when Angelo offered to translate the tendon health questionnaire into Italian! If you haven’t come across this questionnaire there’s a detailed blog about it here, it’s designed to help clinicians screen for factors that might influence tendon health and alter management. Angelo has an impressive research profile and has done considerable work in shockwave therapy, including this recent review of clinical application. He developed and validated the VISA-H questionnaire which is a key patient reported outcome measure in PHT and evaluated the clinical tests commonly used in PHT diagnosis. Angelo also compared the effects of shockwave therapy with traditional conservative management of PHT in one of very few clinical studies in this patient group. The Italian translation of TendonQ is available in this Dropbox folder alongside an English translation of the Italian version and a version containing both English and Italian. We’ve also included a copy of the VISA-H Questionnaire for use in assessment of PHT. 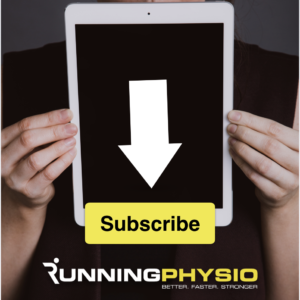 Previous articleInsertional tendinopathy and hamstring rehab – free videos!